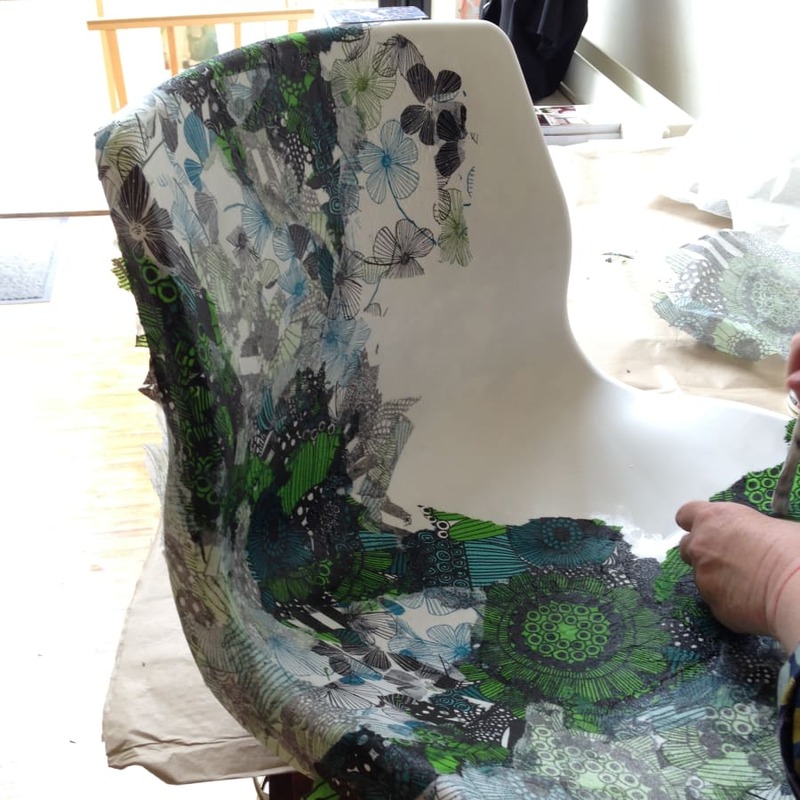 In this 2-day workshop, Gabriela will teach you how to upcycle a chair or another small piece of furniture such as a side table or a simple bedside cabinet. 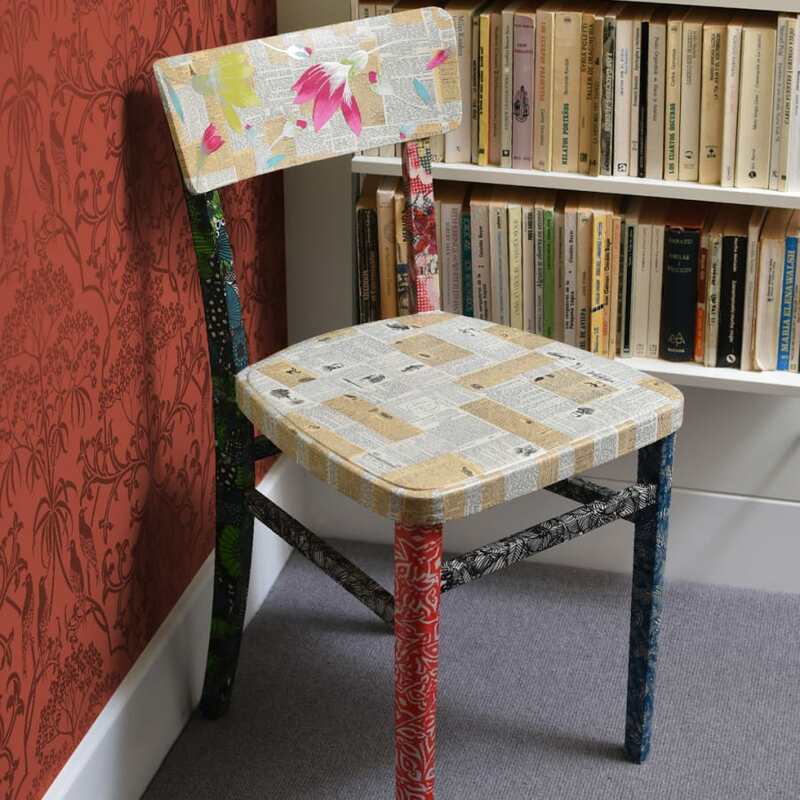 In this workshop, Gabriela will teach you how to upcycle a chair or another small piece of furniture such as a side table or a simple bedside cabinet using decoupage, a technique that allows you to transform a piece of furniture using just paper and glue. Please note that in order to complete a small piece of furniture you will need two full days, which have to be booked individually. You also have the option of booking just one day and finishing your project at home if you prefer but do be aware that you will not learn as much as you would on a two-day course. All materials plus a light vegetarian lunch, tea and coffee are included in the cost of the workshop. Due to time constraints it is likely that you will have to varnish your piece of furniture at home. You need to bring your own piece of furniture, clean and primed with a coat of white paint. 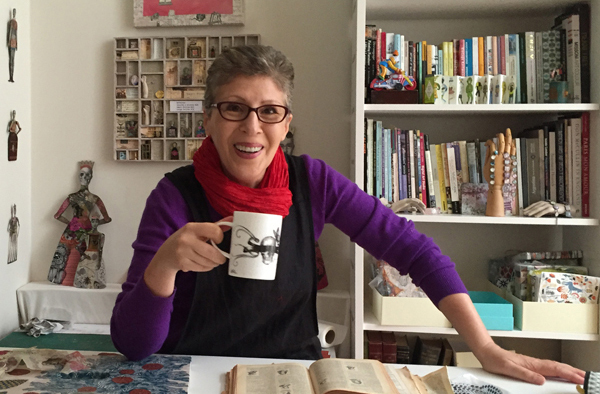 If you are unsure about suitability please contact Gabriela in advance. Want to get your decoupage fix now? 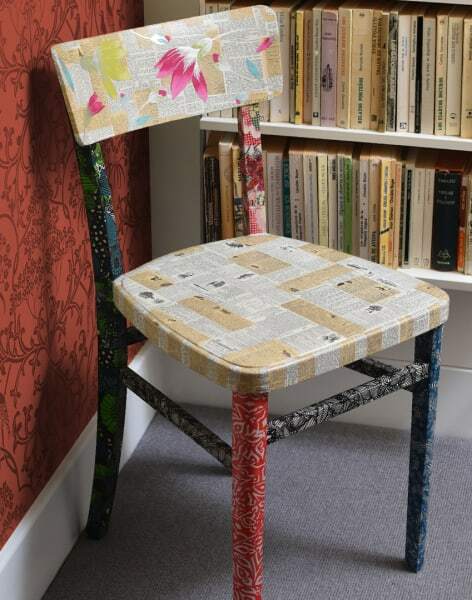 [Click here to read my Obby Project](https://obby.co.uk/blog/obby-projects-upcycle-ikea-stool) on how to upcycle an IKEA stool with decoupage.